Is the sun setting on outport Newfoundland? 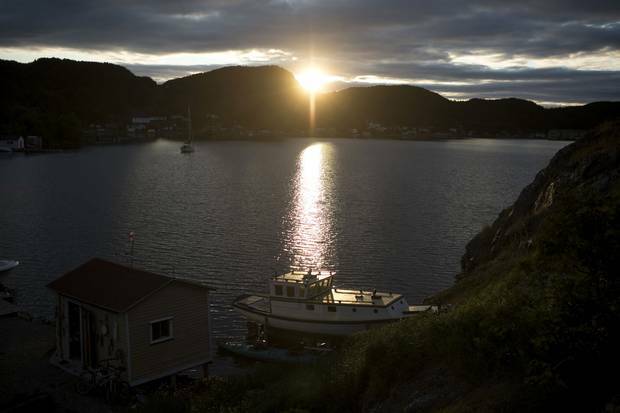 Little Bay Islands, Nfld., has shrunk to a population of only 38 mostly elderly residents. Many want to relocate as the province tries to shutter small and isolated communities that are struggling to support themselves. Finding Cressie Roberts on Little Bay Islands doesn't take long. She lives in "the house with the yellow flowers," a retired fisherman offers from his deckchair facing the harbour in the middle of Notre Dame Bay. Ms. Roberts, who has resided here for all of her 86 years, used to be part of a bustling community of 600 residents, with 11 stores, three dockyards, three churches, a doctor and a school. Today, only 38 people – or 20 homes with smoke in the winter, as the locals say – inhabit this once-thriving island outport that lived and breathed by the cod. The school is empty, one church remains and there are no doctors or stores, just a lone seasonal bed and breakfast. A quarter-century ago, a moratorium on cod fishing was the beginning of the end for hundreds of remote bays, inlets and islands in Newfoundland and Labrador. Ever since, many of the small communities have been dying off. Now, there are few, if any, jobs and the remaining residents are in their twilight years. Cressie Roberts sits at her table with a plate of fish and brewis and a cup of tea for a midday meal. ‘I’m not happy about leaving. I’d love to live here forever but I know I can’t,’ she says of Little Bay Islands. When resettlement happens, the government withdraws all its services, such as garbage collection, health care, schools and electricity. People can continue to live in the community, but they have to apply to retain their property rights and provide their own water, electricity and transit. For Premier Dwight Ball, money saved is only part of the picture. "It really comes down to making sure the residents that live there have access to services," he says. "Most people, of course, would like to have them right at their doorstep, but in most cases that's impossible to do," he explains, citing high costs and difficulty finding workers to live in remote communities. In a sense, relocation is ingrained in the consciousness of outport life in Newfoundland and Labrador. The government resettled some 28,000 people from 279 communities between the 1950s and 1970s. Since 2000, five communities have relocated. 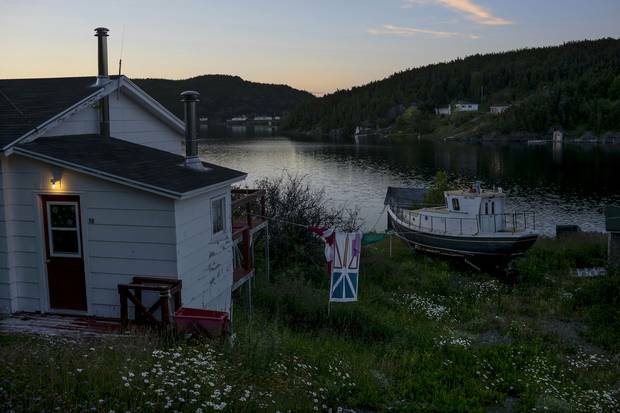 Now, the province is offering residents up to $270,000 to leave the island, located off the rugged northeast coast of Newfoundland. 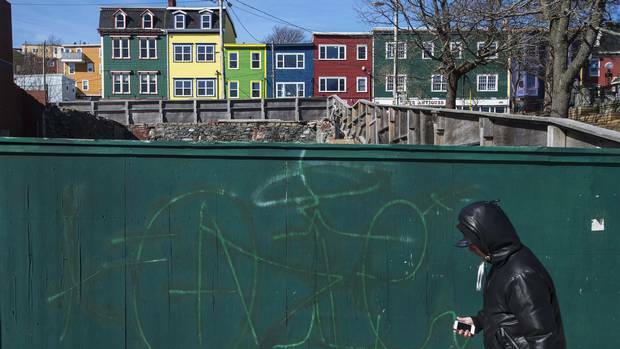 The amount dangles like a carrot over modest, hard-working Newfoundland and Labrador, where accepting such a sum is akin to winning the lottery. William's Harbour, in Labrador, just cashed in, saving the province $7.9-million over 20 years. Several other communities are in the process of resettlement, and more are likely to follow. This is the second time Little Bay Islands has tried to relocate. A squeaker vote held the town back a few years ago, leaving fractures between friends and neighbours who had shared pickles and pantry staples for generations. After that, a vote will determine the island's fate. Last time, 89 per cent voted to leave, narrowly missing the 90-per-cent threshold. The outcome this time is likely to be different. In a recent poll held to gauge interest in relocation, 100 per cent of the community said yes. 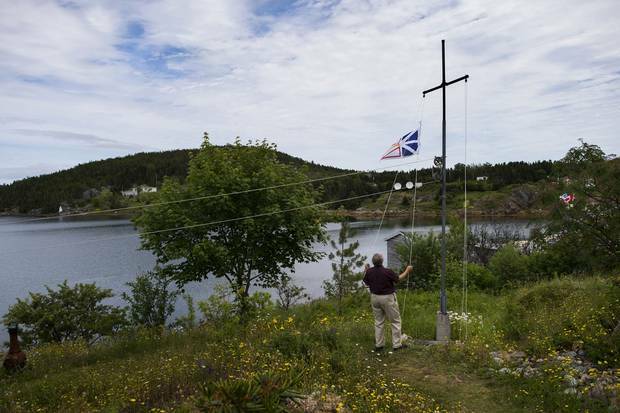 Ray Flynn raises Newfoundland’s flag on his property in Little Bay Islands. Despite its faded glory, the essence of community still exists on Little Bay Islands. Cressie Roberts says when the time comes, she will vote to relocate. Up the hill from the main road that curves with the harbour, yellow perennials spill across the ditch outside her cobalt blue cottage. 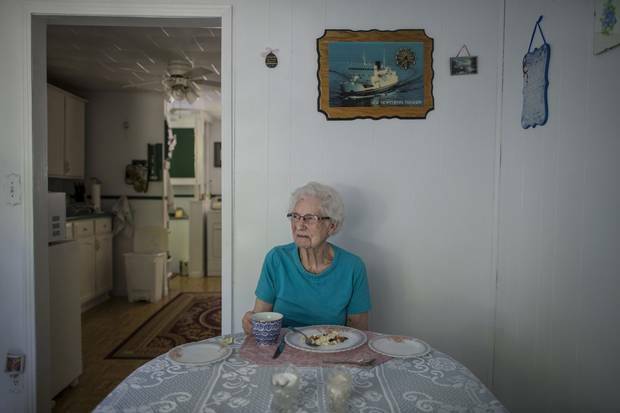 Many on Little Bay Islands, like Ms. Roberts, are elderly and feel resigned to relocation. The closest doctor, grocery store and bank are two hours away by ferry and car from the island. And there's no one left to pay to mow the lawn, shovel the snow or fix the deck. She braces herself in the door frame, explaining that her Parkinson's disease often leaves her dizzy, and this is one of her bad days. It's why, for the first time in her life, she had to live off the island during the past three winters in order to be near a doctor. It's also why she agreed to go forward with resettlement. "I'm not happy about leaving. I'd love to live here forever, but I know I can't," says Ms. Roberts, while knitting a baby sweater for a friend. Her smile fades as she describes these last few winters away from the only place she's ever lived: "It almost killed me," she says quietly. She says she was so homesick, she could barely eat: "I used to wear a size 18. Now I'm down to a 10." The annual rent for a home next to the hospital two hours south in Springdale, population about 2,000, eats up her small old-age pension. "I'm only here in the summertime and I still got one door to get out," says Ms. Roberts, beckoning to another entrance off the kitchen. Plus, she adds, no one knows when resettlement is going to take place. Growing up on Little Bay Islands in the golden years of cod was the stuff out of Lucy Maud Montgomery novels: children's picnics, pastoral landscapes and hard-working families living off nature's bounty, albeit with more moonshine than raspberry cordial. She remembers her husband, Tom, a fisherman, bringing home what she claims was the biggest catch in history on the island. "She was just like this from the water," she says, holding up two fingers to show how the boat was weighed down to just an inch between the gunwales and the waterline. Today, the remaining cod fishery in Little Bay Islands is purely recreational. It's just enough to keep supper on the table and Ms. Roberts' freezer stocked. The old fish plant, once the access point to survival, is but a grey husk that looms over the harbour like a decrepit monument to a life that was. 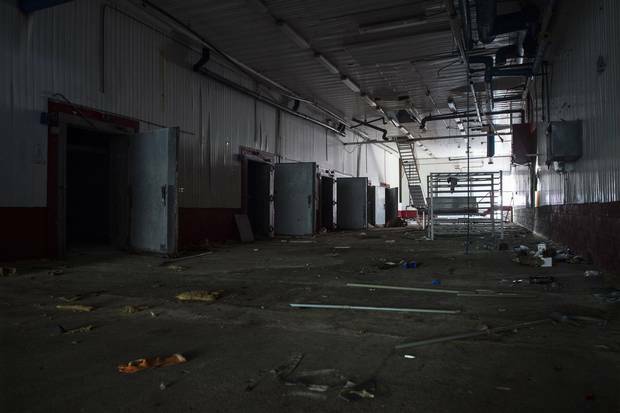 The abandoned Eveleigh’s Seafood fish plant in Little Bay Islands was once the economic heart of the community. For "dinner" – which in Newfoundland is actually the noontime meal – she pulls fish and brewis out of the freezer. It's her childhood comfort food, known as the mac 'n' cheese of outport Newfoundland. To make it, you cook salt cod and soaked hardtack separately, then mash the two together and add fried pork scrunchions and onion. What keeps her here, says Ms. Roberts, between forkfuls of food, is her garden. She putters around her patio stones to the swish of the birch and maple leaves, plucking weeds from the bushes and flowers that have always spelled home. Never mind that she was cutting the grass with scissors a few days earlier. The purple and white foxgloves are blossoming right now, and in two days, when she turns 87, her peonies will bloom as they do every year on her birthday. Ms. Roberts's Little Bay Islands isn't the only eastern community with shrinking demographics. This is a trend in all of the Atlantic provinces, and population forecasts for Newfoundland and Labrador indicate that the declining numbers show no signs of slowing down. A new report by the Harris Centre policy institute at Memorial University of Newfoundland looked at population projections for the province over the next 20 years and found that low birth rates, high death rates and outmigration will lead to an 8 per cent decline in the population by 2036. Remote communities will bear the biggest brunt. "The population is widely distributed and scattered, but in smaller pockets, so it becomes increasingly expensive in every sense of the word to provide services [such as health care]," said Population Project director Keith Storey. "In general, I think we will see more requests to government to resettle communities over the next 20 years for sure." Despite its faded glory, the essence of community still exists on Little Bay Islands. Neighbours drop off steaming loaves of porridge bread and share bags of freshly gutted cod. In summer, a smattering of grandchildren and great grandchildren liven up the scene. A few tourists still come by to hike and view the icebergs. And summer residents – affectionately called "stouts" (another word for deer flies) – return to sail their boats and pick partridge and cloud berries. There are craft circles, potlucks and flotillas in memory of lost friends here on this edge of the Earth. Some say they'll return regardless of relocation, like Doris Tucker, who was born on the island in 1939, and later lived and worked in Montreal as a nurse. She now lives part of the year in St. John's. "Emotionally, I never left," she says over tea and cookies at the kitchen table of her purple-and-white-striped clapboard home. "I'm just very comfortable here. I love getting up in the morning and seeing the sunrise." Ms. Tucker owns Heritage House, a turn-of-the-century home, which she's packed to the gills with Little Bay Islands memorabilia: a stuffed seal, portraits of former premier Joey Smallwood and Jesus Christ on opposing walls, a blue-and-white quilt with embroidered names of the island's founding families, an enamel wood-stove oven – pretty much anything anyone has ever tried to do away with on the island is preserved here. Ms. Tucker, whose nickname is Mayor Tucker, is one of the few against resettlement: "Why would you want to destroy outport Newfoundland? Newfoundland is outports – that's how we came to be," she said. "It's crazy to think everybody can live in Corner Brook, St. John's, Grand Falls." Across the harbour, as the sun dips behind the hill facing his house, Wincel Oxford gingerly descends the outdoor steps of his home with scraps from his fish dinner. Al and Peanut are waiting on the stage; their beaks agape. He throws the food at the two gulls and stares out at the harbour. His "pets" help make the long, harsh winters bearable, he says, when his niece, who he considers a surrogate daughter , is a world away in Toronto and the only sounds are their cries for food and the ice creaking with the moving tide. Mr. Oxford started fishing at age 16 with his father and has lived here all of his 84 years. He saw the first chainsaw, snowmobile, all-terrain vehicle and pickup truck come onto the island. He still chops all his own wood and goes out in his boat to jig for cod. Every nook and cranny of the coastline is familiar to him and he finds his sweet spots for cod by how the bow of his aluminum fishing boat lines up with the land. He too is fatalistic about relocating, though he had tears in his eyes as he checked the box for resettlement at the original vote. That X marked the crossroads all of outport Newfoundland and Labrador's aging population will face in the coming years: Live on in a dying community until the natural end, or take the money and let the community die. "It's hard to walk away from your home and not get anything. You spend your lifetime trying to get something and then have to walk away from it. You can't sell it. To me, it'll be sad to leave here, but I will go along with it," Mr. Oxford said. For those whose entire lives can be mapped on this speck of land in Notre Dame Bay, that'll be it. The shared memories, traded recipes, known fishing spots and not-so-secret skeletons in the closet – everything that brings a community to life – will disperse when the lights go out. Mr. Oxford will set out his last bowl of soup for the gulls. Ms. Tucker will open the door to her eclectic collection a final time. And Cressie Roberts will see the last peony bloom on her birthday. Relocation status: Next in line to relocate. Everyone in the community voted to leave and they’re waiting for financial offers from the province. Relocation status: The community has contacted the province to relocate. 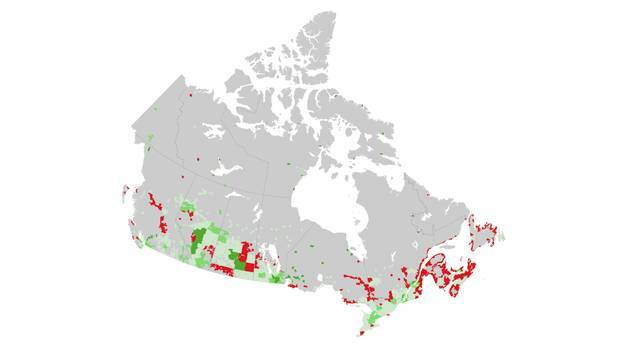 The province is deciding whether to move forward based on a cost-benefit analysis. Relocation status: The community has contacted the province to relocate. Census 2016: How the East is shrinking while the West booms As of 2016’s census day, there were 35,151,728 people in Canada, and nearly one in three lived in the West. Here are more highlights from the 2016 census. 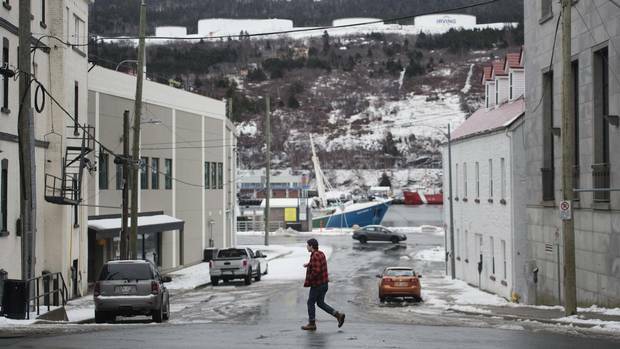 ‘It’s just getting worse’: How Newfoundland’s economic boom went bust Rachelle Younglai explains how the oil-shocked province grappled with its return to ‘have-not’ status. John Ibbitson: Immigration is the only way to reverse Atlantic Canada’s population decline Immigrants revive and rejuvenate any society that welcomes them, and their presence signals the health of that society. This is as true of Saint John and St. John’s as it is of Winnipeg and Victoria.